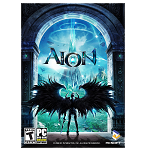 Our collection of games like Aion has other fantasy based MMO role playing adventures with great class diversity, game modes and deep skill systems. Aion is most notably known for its combination of PvE and PvP elements to create a PvPvE style of gameplay that is rarely seen in the MMORPG genre. This combined with the recent move to a free to play game has given Aion a large following, making it one of the top options in the genre. The unique elements of Aion don’t stop at its PvPvE approach to gameplay though with many other unique features under the games hood. The most notable of these is the skill chain system which forces some skills to be performed in a certain order to increase their potency. Mixed with these unique Aion features you’ve also got well-designed systems that are standard in the genre from multiple classes, parties, crafting, quests and the always popular mounts. The games like Aion here focus on other massively multiplayer online games that have unique elements and mechanics that try to break the mould of the genre. With options that are both paid and free all gamer budgets can experience these MMOs.